Located on a northern beach along the Gulf of California, Mexico, Casa Blanca Golf Villas is a five-acre resort that surrounds an 18-hole golf course. Along with a beautiful beach, the resort offers a playground, lake, outdoor swimming pool, bicycle trails and laundry facilities. When you take advantage of these Puerto Penasco timeshare resales, you can own your vacation in a private vacation home in this fabulous destination. The area supports outdoor recreation and other activities with a day spa and fitness center, scuba diving and fishing facilities, horseback riding, sailing, water skiing and a boat marina. In between the Sea of Cortez and the Sonoran Desert, you will find lush green walking trails and trickling streams. The Casa Blanca Golf Villas is surrounded by attractive landscaped gardens. 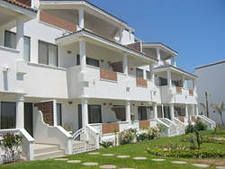 Your private, air conditioned, vacation condominium in Mexico may have two or three bedrooms, with high-end cooking facilities. 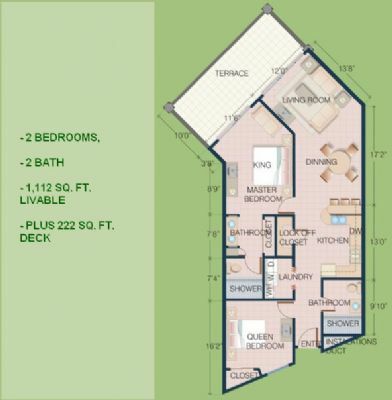 You can select a timeshare according to your preference for cable TV, Internet access, Wi-Fi, Netflix and much more. All units have spectacular views of the Sea of Cortez and the beach as well as of the landscaped gardens and one of the several pools. 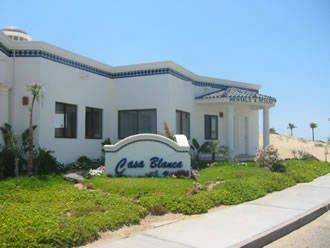 Casa Blanca Golf Villas is a full-service resort where you will find a wealth of activities and a beautifully designed and well-constructed vacation home with Low-E glass, granite countertops and state-of-the-art audio and video wiring. When you own a timeshare, you can even exchange it for a comparable accommodation at a different location from hundreds of locations from which to choose all over the world. 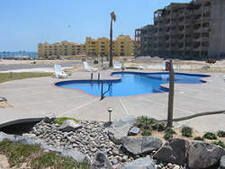 Puerto Penasco timeshare resales can open the door of world travel for a fraction of the amount it would ordinarily cost. Puerto Penasco has been designated as part of a border-free zone, which means people arriving from the US do not need visas. This makes it an attractive destination for visitors from Arizona, Nevada and California. Also called Rocky Point, the area is famous for its tidal pools. The tides are especially high and low in this area, and the low tide exposes hundreds of rocky tide pools full of a huge variety of marine life that attract migratory birds. Contact Casa Blanca Golf Villas Specialist Today!